Want $1,000 for college? Brilliant Earth can help make that happen. 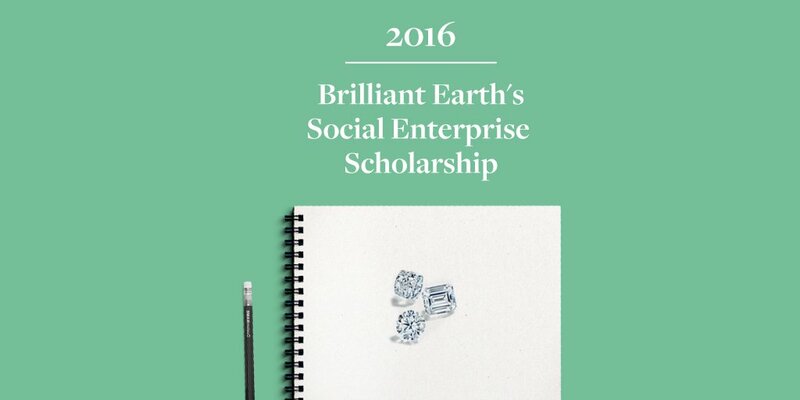 If you are currently enrolled in college or headed there in 2017 and want to win a $1,000 scholarship to help cover expenses, consider entering the Brilliant Earth College Scholarship Contest. Brilliant Earth is passionate about cultivating a more ethical, transparent, and sustainable jewelry industry, and we want to support the next generation of social entrepreneurs. Brilliant Earth will award a $1,000 scholarship to a highly motivated student who can thoughtfully answer the following prompt in 800 words or less. We believe business can be a force for good. Tell us about an idea you’ve had for a for-profit business that contributes positively to the planet and social good. Then, share how you’ve demonstrated your passion for this cause, or created other social and environmental impact. Fill out the form below, including a link to a Google Doc answering the prompt above in 800 words or less. You may include rich media (photos or videos) in your response that serve as proof of your commitment to a cause. We will email you to confirm mailing address, and send you a check, or Visa gift card in the mail for $1000. Any and all content may be used in future Brilliant Earth marketing. Submissions must be received by midnight on December 8, 2016.
hello there my name is mantegbosh birhan ,i am from ethiopia. i am a senior student in adigrat university studing chemical engineering. i would appriciate it if i get the chance to study in one of your universitys.